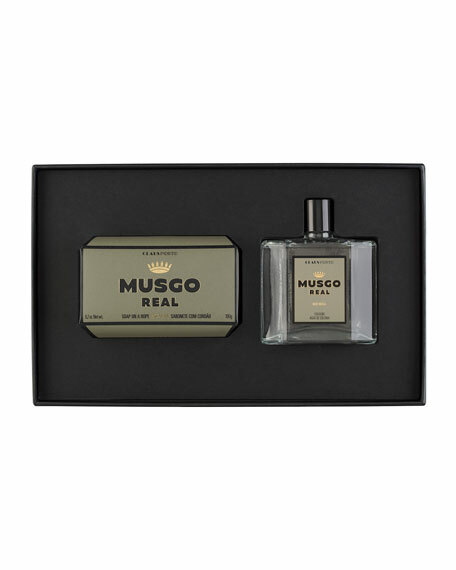 This gift box is dedicated to our Musgo Real Oak Moss collection with bold, masculine aromas of clove and clary sage. Includes a soap on a rope and a 3.4 oz. cologne, all wrapped the collection's distinctive art deco packaging. 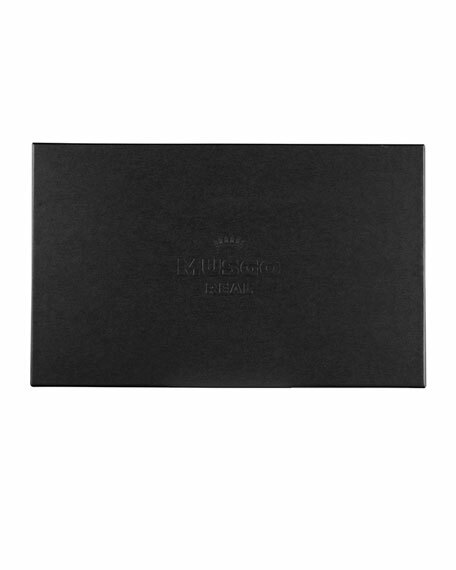 This gift box is the perfect gift for a sophisticated man. It includes the iconic soap on a rope, enriched with walnut oil, and our Musgo Real Oak Moss Cologne, in a 3.4 oz./ 100 mL size. 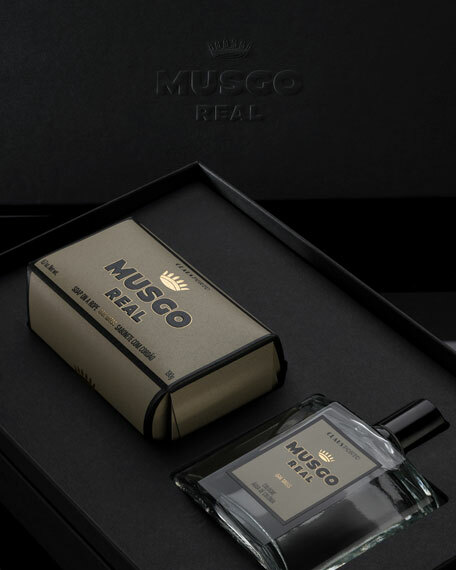 Musgo Real Oak Moss is an uplifting cologne that combines the minty and aromatic clary sage with a deep, woody accord. 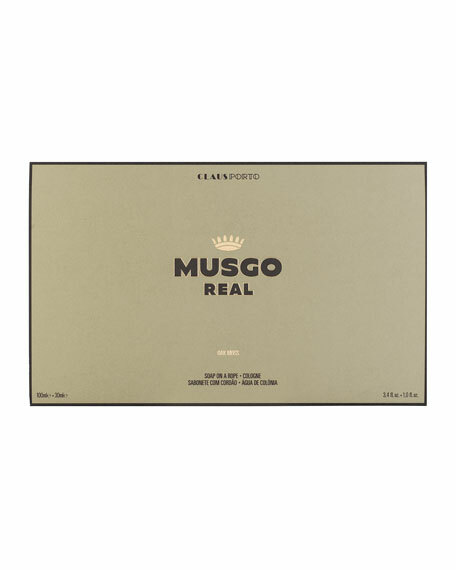 The Musgo Real Soap on a Rope is formulated with 100% vegetable oils is enriched with walnut extract, for a moisturizing effect. Before the soap is molded and hand-wrapped one by one, a cotton rope is manually placed, making it easy to use.